From timber and damp treatments to complete home renovations, we provide a professional and reliable service to homeowners across West Cornwall. Why not give us a call? Damp and Timber Reports. If you or a mortgage provider requires a property inspection, we can carry out full reports on dry rot, wet rot, woodworm and damp. Damp and timber treatments. We solve your timber or damp problem using safe, industry-standard methods. Renovations. Our team can help you with everything from new doors and windows, to kitchen renovations and complete rebuilds. Maintenance services. We provide property maintenance and repair services to letting agents, landlords and absent property owners. We’re well known locally for our workmanship and professional approach. In fact, most of our work comes from word-of-mouth referrals by local estate agents, surveyors and residential clients. 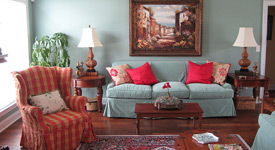 See our Renovations Gallery for samples of our work. Or read some Customer Testimonials. We have dedicated office staff, which means we always have someone on hand to answer your questions, provide a quote, or arrange a visit to your property. Once we're working with you, we keep you fully updated on a job's progress and even email you photos of our work – something our out-of-county clients really appreciate. We also offer guarantees for our work, including insurance-backed guarantees. Contact KC Renovation Treatments now to find out more about how we can help you. 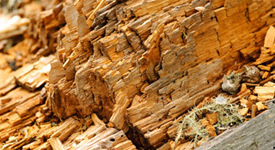 We can assess your property for dry rot, wet rot or woodworm, then carry out safe and effective treatments to fully solve the problem. 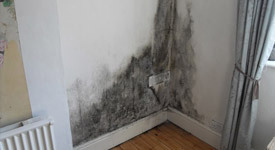 Does your property have a damp problem? We offer a number of proven, effective solutions to help eliminate it from all areas. Full property redesign. New kitchens and bathrooms. Repairs. We offer a professional service for homeowners and businesses.